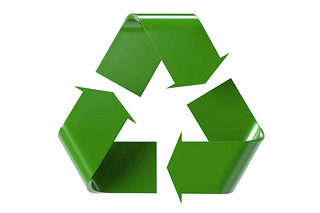 According to the 5th Annual Tork Sustainability study, Americans are more interested in going green than ever before. The study, which surveyed 2,068 adults aged 18 and older, found that seventy-eight percent of participants (up from 69 percent the year prior) purchased green products last year. The results also revealed that the reasoning behind purchasing green products appears to have shifted. Twenty percent (up from 14 percent) of those surveyed cited health reasons as a major reason behind their green purchasing decisions, while 47 percent (down from 48 percent) cited the environment. Are Americans willing to pay more for green products? When it comes to green cleaning products, organic clothing, CFL bulbs and other popular green products, Americans appear to be split on whether or not they’re willing to pay more. According to the survey, 43 percent of Americans would pay more for products that could be guaranteed of ethical manufacturing practices, while 44 percent say they would not. Additionally, participants with children under the age of 18 were significantly more likely to pay more for responsible and ethically sourced products (51 percent) than those without children (39 percent). “People are paying more attention to health when choosing to buy green, and I believe that adults are more aware when children are in the house. It suggests this trend will continue as future consumers are being raised with these values,” said Mike Kapalko, Sustainability Marketing Manager for SCA, the company responsible for this annual survey. Are interested in learning more about green cleaning products? Contact National Purity today!